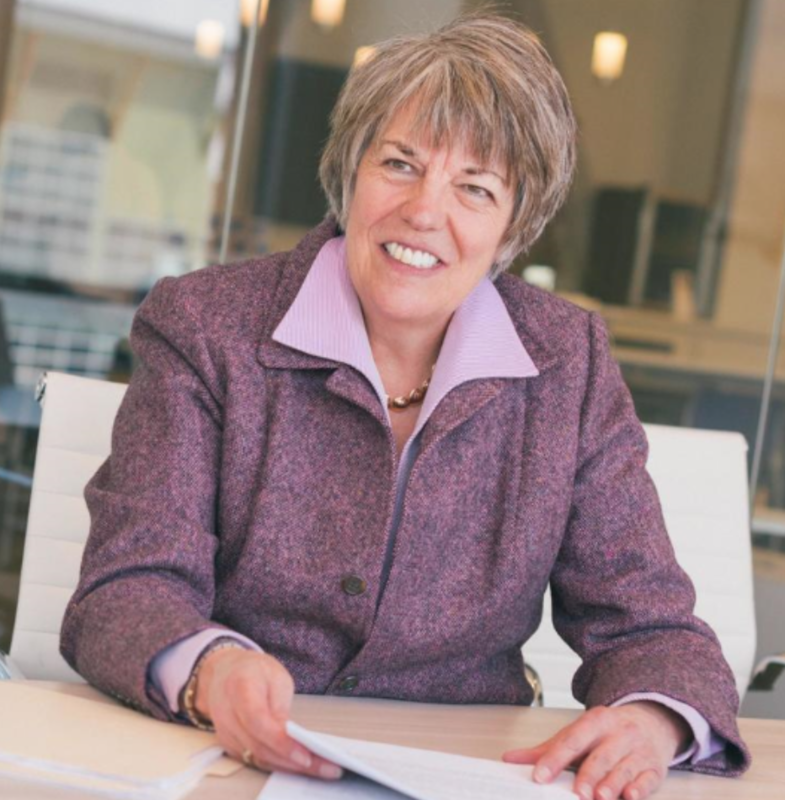 Judy Robinett is the author of “Crack the Funding Code: How Investors Think and What They Need to Hear to Fund Your Startup” (HarperCollins, January, 2019) and “How to Be a Power Connector: The 5-50-150 Rule,” #1 of The Top Ten Business Books of 2014 by Inc.com. Robinett is a business thought leader who is known as “the woman with the titanium digital Rolodex.” She has been profiled in Inc., Forbes, Venture Beat, Huffington Post, and Bloomberg Businessweek as a sterling example of the new breed of “super connectors” who use their experience and networks to accelerate growth and enhance profitability. You know, honestly, almost all of it was accidental. I started as a social worker; and about three years into it, I decided to get a master’s degree. After graduation I started working for the Idaho governor’s office. Later, a friend got a job at a Fortune 100, and called me to say they had several openings. He told me to send my resume, so I did. That launched me into the corporate world. One catalyst was when I was invited to give a speech at MIT to women engineers on personal power. Someone handed me a Wall Street Journal with an article that highlighted the five ways to become financially independent in America. The five ways were to be a lawyer, a doctor, inherit, or marry it, and I thought, well, those are out. The last one was to start a business. I thought, “Start a business! How hard could it be?” So, silly me, I acquired a couple of partners and went out and secured a $1.3 million SBA loan to build a franchise restaurant. “Listen, Judy,” he responded. “They can break you, but they can’t eat you.” And that cured me of my fear. I turned the franchise around and sold it. I discovered that many companies need help to turn around from failing to succeeding. It was the same story, same play, but different actors. I was asked to help with a public biotech company and was the CEO for ten years. Then I was asked to evaluate an unknown startup, Skullcandy, for an investor. They went public in 2011 for just under half a billion dollars. Then I became fascinated with startups and their power to change the world, and I became an investor and now sit on VC boards. I’m an advisor toSpringboard, an incubator that works exclusively with women founders. The incubator has raised over $7 billion, had 19 IPO’s and 180 strategic sales. Exciting! It sounds like there is many zigzags in your career. Yes, I love a challenge, and I love chaos. Startups are kind of chaotic, but you can create and make anything you want to happen. So, I like chaos. And now I have such a broad and deep network that I’m connected to almost any resource you may need, so I’m having fun. My next question is, can you share the most interesting story that happened to you since you began your career? The most exciting story was probably when I went to help the biotech company. At the time, the company was public, broke, in litigation, and delisted. I spent about an hour and a half talking to the chairman of the board and a couple of the board members. When I finished, they asked me to be the CEO. I must have said to them multiple times that I can’t be the CEO of a public company. But then, I thought to myself: “You know, when you were young, you used to think it’s too bad you weren’t born a man, you would have liked to have been the CEO of a company.” So, with that thought, I said yes. I was bolstered by my experience with my franchise, where I learned that not much could kill you. I ended up raising millions of dollars, and it was a wonderful, interesting opportunity. I’ve had so many of these kinds of experiences happen, and part of it is because I take risks, I love to learn. Turning our focus towards your newest book, can you tell us a little bit more about Crack the Funding Code™? What are some key concepts of the book? Principle 1: Who are the investors and where can we find them? I’ve met so many terrific entrepreneurs all around the world who couldn’t figure out how to find an investor. Having been an investor, I decided I could demystify that world a little. One of the fundamental principles of my book is that there is no lack of money. Credit Suisse’s Annual Wealth Report for 2015 found there is $317 trillion of global wealth, and there are 300 angel groups in the U.S. We now have family offices, private offices for wealthy families, who are seeing more deals than VCs. Another fundamental principle in my book centers on the founder’s mistakes. Many founders make the mistake of ‘look how cool my idea is! Don’t you want to drink my Kool-Aid?” Instead, investors are wondering how they are going to get their money back and is this a viable business? It’s important to set yourself apart as a high potential startup. To do this, you need to package your business well. First, you need to be clear on your exit strategy, and provide comparables. Second, you need to mitigate risks as viewed by the investor. Investors are investing in you as the founder; and they want to know that you can execute, and your team can perform. They are betting on you. You are risking the investor’s money. They want to know that the dog will eat the dog food. Will customers open their wallet and pay for this thing you’ve created? What is the size of the market? Is it big enough for me to get a good return on my investment? Do they have traction? One way to mitigate these risks is to form an advisory board and recruit key advisors. If you are a first-time founder, it’s powerful to bring people with gravitas to add credibility. And, it is also wise to listen to them as they have done it before. Another principle in my book is the three C’s. As a founder, you must be coachable. You must have good character. And you must have confidence. A sure way to kill your deal is to come across as a know-it-all or to be untruthful. Investors will run, not walk away from your deal. It’s important to understand the mindset of an investor, understand where those investors are and the different types, and understand how to package your deal. Great question! Clayton Christensen just wrote a book called the Prosperity Paradox. The premise of the book is that many trillions of dollars has been given as aid to third-world countries to improve lives and create jobs. However, the fact is that many of these countries are worse off now than they were before. Clayton discovered that the way to change the world is to have entrepreneurs who create markets. Change must come from the bottom up, not top down. I’ve always known that there is no lack of creativity or innovation in the world. We should have more entrepreneurs. I wrote the book because it hurt my heart that people couldn’t get funded when they have something that could change the world. What do investors look for in healthcare startups? What are the key healthcare innovations that you can see in the future? One of my favorite angel groups is Life Science Angelsin San Francisco, and they focus exclusively on life sciences. They typically focus on diagnostics and medical devices, and not as much on pharma and drug discovery. There are now 60 venture capital firms looking at life sciences because it is one of the industries with the highest returns. Innovations I’ve seen are in personalized medicine, medical devices, and diagnostics. There are new platforms where you can talk virtually to your doctor. Healthcare historically has held back in terms of digitizing products and innovations, but I see the industry moving heavily towards innovative products. How do the concepts of the book apply if I were a healthcare entrepreneur? My book applies to healthcare entrepreneurs. It’s always important to find the appropriate angels and VC’s, and it’s important to package your deal. You will still need a great pitch deck, but you will still need to build relationships. In fact, it is critical to build relationships before you ask for money. The standard advice in the industry is to ask for advice, not money. Especially for healthcare—it is vital to build relationships and find the right investment groups. This is because many investors focus on technology. There are also large family offices who are investing into healthcare. There is a group called the Opal Group, that have many billionaires. A few years ago, they were talking about deploying $875 million for regenerative medicine. What are the five things you wish someone told you before you started? 1. I wish I had known that most people will help you if you ask. I should have learned the skill of asking a lot earlier. 2. I wish I had learned to talk to strangers earlier. We are told about stranger dangers, and research shows that we typically talk to strangers 2% of the time. However, that’s where the gold is! I’ve met billionaires hiking in Park City. 3. I wish I would have been better equipped to deal with my emotions particularly, fear. Fear used to paralyze me. And it was so wonderful to find out that only a few things can kill you. They can break you, but they can’t eat you. So being able to deal with fear and to understand that while you are alive, you will experience fear. And it’s not a bad thing. But you can’t let it hold you back from taking action. Every time you move out of your comfort zone and do something even a little risky, you build resilience. 4. I wish I had discovered earlier what I call my three golden questions. Everybody’s problem is somebody else’s solution. So, the problem that entrepreneurs have is finding money. The problem that investors have is finding a great deal, and they are willing to give up money to get that deal. My number one golden question is “How can I help you? What do you need help with?” The second question is after you share what you are doing, you can ask “What other ideas do you have for me?” The third question is, “Who else do you know I should talk to?” These questions have helped me land opportunities to visit the White House for Fintech conferences, been on panels with Mark Cuban. And, I was on Fox Business Mornings with Maria Bartiromo this week. I would never have guessed in a hundred years that I would be able to do any of that. 5. I wish I would have asked people for help or input earlier. When I was younger, I was nervous about being criticized. It’s important to accept other people’s input and understand what others see in you that you don’t see in yourself. I would love for us to touch a little more of what you just mentioned, such as your experience visiting the White House or meeting Mark Cuban. Can you share some personal stories? Let me give you one that I think would be a better story to exemplify some of these principles. I had helped a woman at a large law firm, and she called me one day. She said, “Judy, you’ve been so helpful. I want to invite you to go on a diplomatic mission to Serbia.” She explained that she would be going around the country to meet with key government officials, the media, and entrepreneurs to unite around environmental issues. At first, I was hesitant. Then I talked with one of my friends who knows me well, and she told me that I should go, because every time I’ve shown up, something great happens. I decided to go, and let my friend Kevin Harrington, the first shark on Shark Tank, know that I was going. He introduced me to entrepreneur, Ivan Dimov, founder of Easygoing whom I met in Belgrade. He has become one of the best business partners I’ve ever had in my life. Then, he introduced me to Sergey Sholom, who was a teenage millionaire, has a Ph.D. in mathematical modeling, and is a founder of GNation. This is where the magic is in relationships. A friend of a friend. So, everything in my life follows this same serendipitous pattern of taking risks, being open to serendipity, and adding value. The story with the White House stemmed from someone I had mentored for two or three years. He called me and let me know that he was invited to this event at the White House and would like me to attend. I almost fell off my chair! The story with Mark Cuban is from a friend of mine who called and asked if I could be part of the panel. He said that they had invited Mark, but they are not sure when he will be able to show up. I thought, oh, he won’t show up, but I’ll go. And sure enough, I ended up sitting next to Mark. What are some principles that have guided your life? 2. Every time you have a vision, Goliath shows up. Tony Robbins calls it the ‘Next Level, Next Devil.’ There is always a way around it, over it under it, or through it.